UPDATE: Virgin Media rolls out its TiVo-powered next-gen entertainment system | What Hi-Fi? 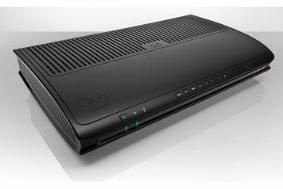 Virgin Media has today activated the third tuner in its new TiVo HD set-top boxes. When we first saw a demo of the system at Virgin HQ last December only two of the tuners were working. Now all three are in action, which means users can record two television programmes simultaneously, while watching a third. This is one of its key advantages over the Sky+ HD box, which only has two tuners. The update to activate the third tuner has been pushed over Virgin's cable TV network today, so existing customers won't need to do anything for it to work. We've been promised installation of our test TiVo box on March 30th, so will bring you more feedback then. In the meantime, you can find out more in our dedicated blog. Announced this morning is Virgin Media TV powered by TiVo, which the company is describing as 'the UK's first next-generation entertainment platform'. Using a new TiVo-developed set-top box, the new service brings together live TV with catch-up, on-demand programming and web-based applications, all bundled with a 1TB personal video recorder able to store up to 500 hours of standard definition. Selling for £199, plus £26.50 for the XL TiVo package bringing over 160 channels of TV, the new box has three tuners, allowing two channels to be recorded while a third is recorded, and will be backed up with a library of 4600 hours of TV, music and movies on demand. The system will make use of dedicated channels of bandwidth on Virgin's digital network and a built-in dedicated 10Mbps cable modem, ensuring users can surf and watch TV at the same time without interruption, and will bring TV in standard definition, HD and 3D. Also part of the software is an intelligent recommendations engine, which will predict the kind of programming a user likes, and suggest further viewing. And with a choice of 'thumbs up/thumbs down' buttons on the remote control, users can also rate shows and help the system make more accurate suggestions. The graphical interface will allow searching of content by show, theme, actor or director, and you can even create a wishlist of programmes to be recorded when they become available. The catch-up services allow viewers to scroll back up to seven days, making it a simple extension of live TV viewing. The new platform is built on Adobe Flash, allowing video, social networking and information apps to be incorporated. At launch, these include the BBC iPlayer, YouTube, eBay, Twitter and photos from sites including Facebook, and Virgin Media promises the app line-up will expand in the coming months. Cindy Rose, Virgin Media's executive director of digital entertainment , says that 'For the first time, viewers will have a truly personalised viewing experience so they can get the most out of the wonderful worlds of the internet and TV all in one place. The Virgin Media TV powered by TiVo service will begin to roll out from the middle of this month. For more information, go to the dedicated Virgin TiVo website, or check out our blog feature on the look of the new platform.